Located in the beautiful Caribbean Sea, the island nation of Jamaica is part of the Greater Antilles island chain. In the past, it’s been a colony of both Spain and England and played important roles in the slave trade and the production of sugar cane, which was used mainly to make rum for export. It’s one of the Caribbean’s most popular vacation destinations and is especially popular with those who love lots of sun, sand, and water. The island abounds with scenic waterfalls, amazing stretches of white beaches, and relatively untouched tracts of forests. Tours are a great way to see as much as possible with minimal hassle, let’s check out 15 of the best. This 3 ½-hour tour to the iconic Dunn’s River Falls includes snorkeling in the Caribbean’s blue waters, music, and even an open bar. Your mode of transportation will be a sleek catamaran. After a brief safety orientation, you and your travel companions will plunge into the water and check out the exotic coral and incredibly colorful and diverse underwater species. The falls portion of the tour includes a guided hike up the distinct terraces, which provide unobstructed views of the surrounding forest. This all-inclusive tour includes round-trip transportation and a traditional beachside lunch buffet. 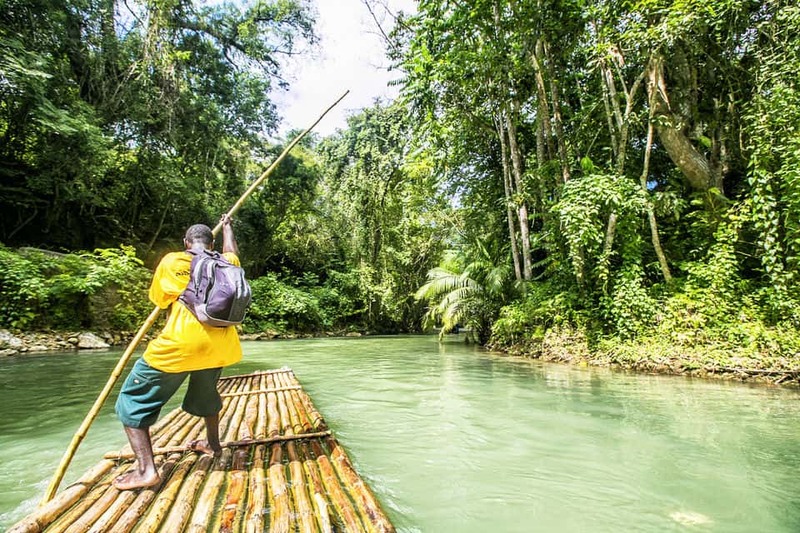 Jamaica’s Martha Brae River winds its way through some of the island’s most lush and undisturbed jungles, which are best explored by the 30-foot long bamboo rafts that are the primary mode of transportation. Your guide will lead you through the labyrinth of waterways while telling you interesting facts about the plants and animals that you spot. This tour is excellent value and the perfect way to commune with Mother Nature. You’ll love the chance to get away from the hectic and often overcrowded sites that most tourists visit. Transportation to and from your hotel is included, but food, drinks, and entrance fees aren’t. 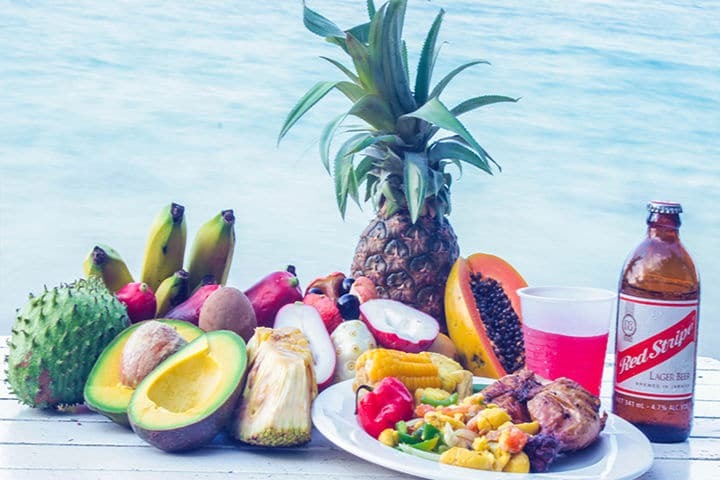 Jamaica is known for its sumptuous cuisine, which generally features lots of fresh seafood, exotic fruits and vegetables, and tasty adult beverages to wash it all down. If you’re a beach lover and foodie, then this beachside cookout tour is a great way to spend half a day. The tour includes side excursions to a few local farms and a mountainside coffee plantation. Upon returning to the beach, guests will get an overview of Jamaican cuisine and enjoy a beer or rum punch. Feel free to assist the cooks; if you’d rather relax and enjoy the scenery, that’s okay too. Everything is included except tips and beach towels. The only thing better than biking through the majestic Jamaican countryside is doing it all while traveling downhill. 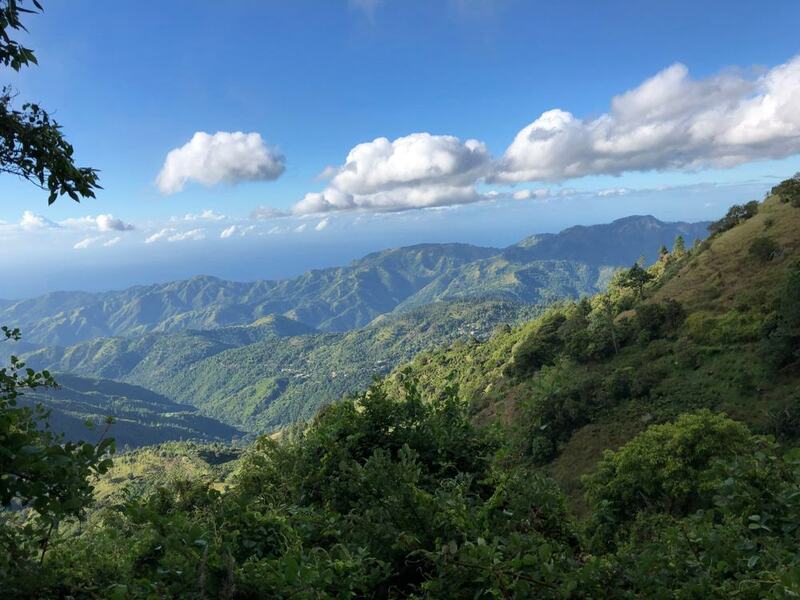 The tour begins in Ocho Rios with a drive up into the mountains, where you’ll dismount, enjoy a tasty brunch, and get a tour of the famous Blue Mountain Coffee Company’s hillside plantation. After a yummy brunch, you’ll receive a brief orientation with your guide, then begin the biking portion of the trip. The tour lasts about nine hours, two and a half of which are spent on the bike. It’s a value-packed tour that includes stops at a few waterfalls, round-trip transportation, and even a mid-afternoon lunch. 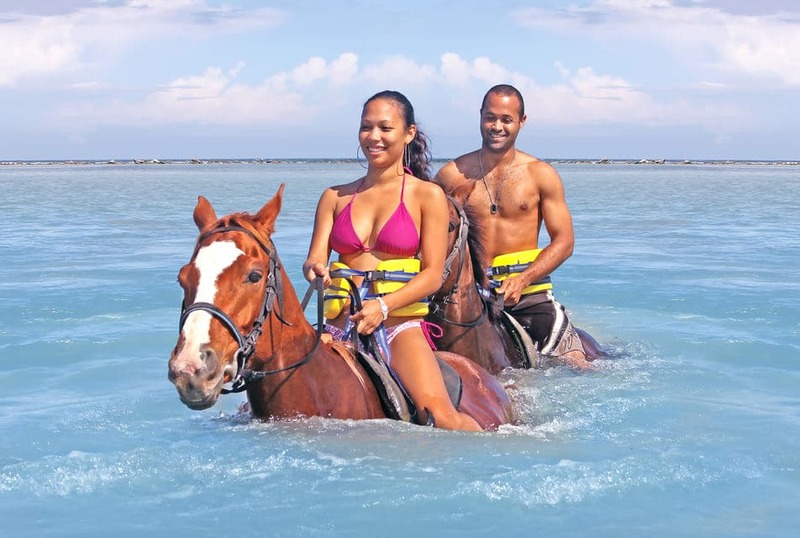 Seeing Jamaica’s beautiful sights by horseback is one of the most unique and exciting ways to experience the island’s beauty. Before starting, guests will get a crash-course in how to properly handle the strong but docile animal. The 2 ½-hour tour includes rides through the forest, beach, and even a swimming portion. If you’ve never ridden a horse while it’s swimming, it’s quite the experience. Don’t worry if you’re a newbie at riding horses; your professional guide will be with you every step of the way. The tour begins in Montego Bay. Before setting out, you’ll get a historical overview of the city that’s one of the island’s tourist centers. 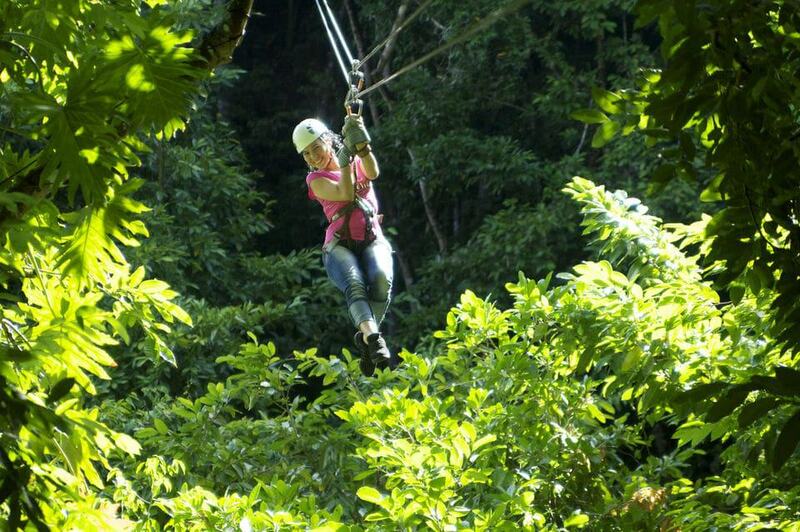 With deep valleys, winding rivers, and forest-covered mountains, the landscape in Jamaica is perfect for zip-lining. It’s not only exhilarating, but it also gives you a rare bird’s eye view of the surrounding country usually only available to those with pockets deep enough to take a helicopter tour. Zip-lining is safe and inexpensive. The lines are connected by a series of platforms at varying heights mounted in the trees of the rainforest. Before the plunge, all participants receive a safety briefing. There are a variety of lines, so finding one suitable for everyone shouldn’t be a problem. 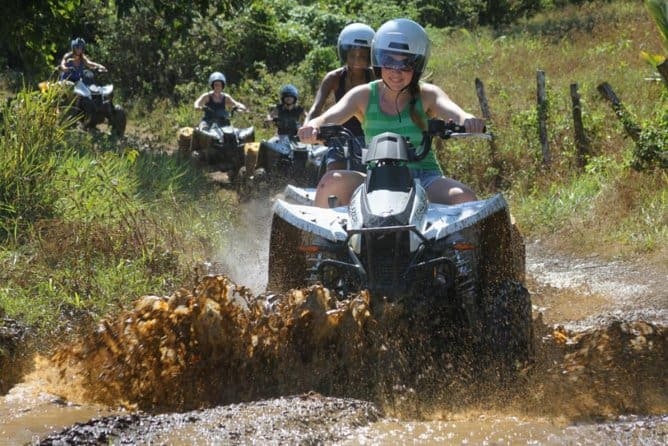 From zip-lines and catamarans to horses that can swim, Jamaica tour providers have thought of nearly every mode of transportation – this off-road ATV takes it to another level. 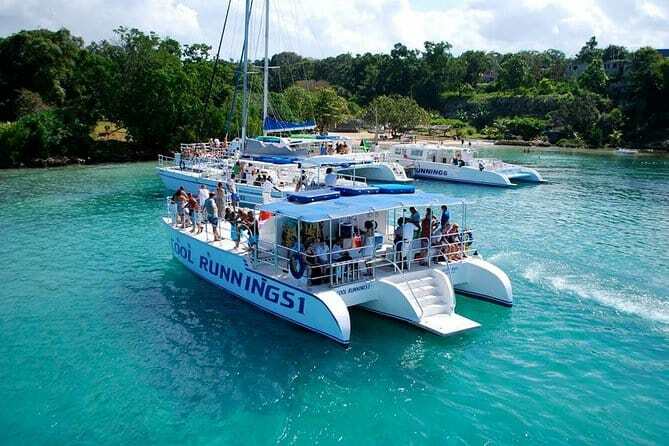 From Negril or Montego Bay, this two-hour tour includes sections through the lush jungle, local farming villages, a colonial plantation, and rides up a mountain or two as well. Each tour begins with a comprehensive safety briefing. If you select the option when you book, you can enjoy a traditional Jamaican lunch as well. It’s an adrenaline-filled way to experience the country’s splendor, and the rest of your day will be free for other adventures. For those value-minded travelers who like getting the most bang for their travel dollar, this three-stop tour includes visits to Dunn’s River Falls, Luminous Lagoon, and 9 Mile. 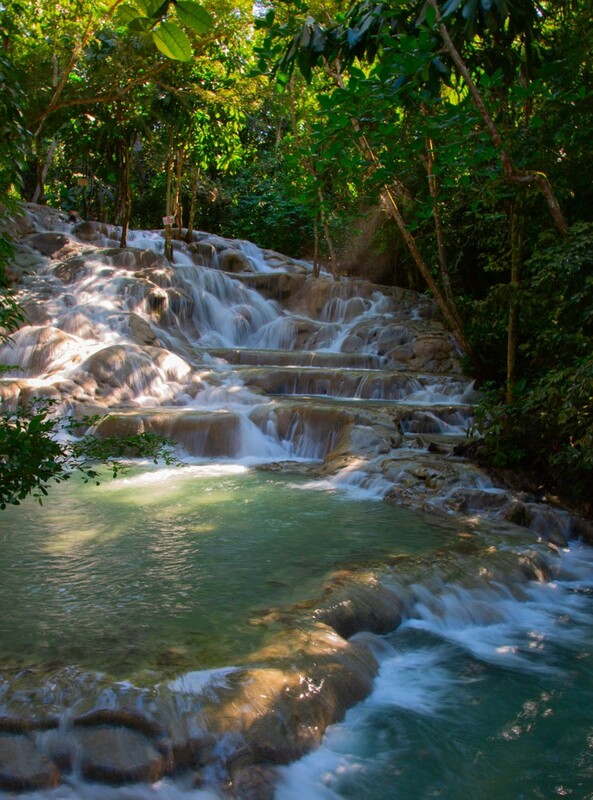 The trip includes a guided hiking part to the 600-foot terraced top of Dunn’s River Falls. If you’ve chosen the option at booking, you’ll head out on an evening cruise to the famous lagoon that glows in the dark as well. Guests will have time to take a swim and relax before checking out the burial site of the island’s reggae legend, the one and only Bob Marley. At Ocho Rios, guests will enjoy an authentic Jamaican lunch and a bit of shopping. If you and your love are interested in avoiding the crowds and spending a little quality time together, this guided bamboo rafting tour of Jamaica’s Great River is a natural fit. Your guide will lead you through the river and its tributaries that wind their way through some of the island’s most pristine jungles. Along the way, you’ll hear a narration about the history of the area, as well as learn about some of the plant and animal species. The tour includes an optional foot massage, traditional Jamaican lunch, or even zip-lining. Be sure to specify which options you want when booking. The majestic Blue Mountains around Kingston feature some of the island’s most beautiful forests and spectacular views. They’re also very rugged, and best explored by a 4-wheel drive vehicle driven by a local with lots of experience. On this tour, guests will be taken to the island’s highest peak and see exotic plant and animal species along the way. The views from the top are extraordinary, so make sure your phone/camera is charged. Some sections of the tour include moderately strenuous hikes, so dress accordingly. Lunch is included, but you may want to bring a mid-morning snack. 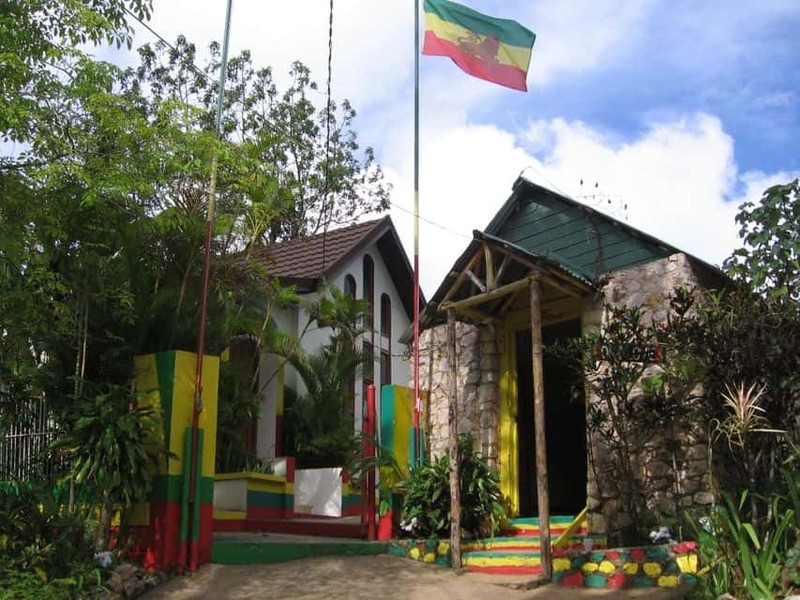 For music fans, reggae lovers, and fans of Bob Marley, this full-day tour deserves a spot on your itinerary. The tour includes stops at two museums that chronicle the amazing life of a man born from humble beginnings who became a worldwide music phenomenon. Your local guide will begin the tour in the St. An and 9 Miles area of the island, where Marley was born and raised. The tour’s second section is in the Trench Town area of Kingston that was made famous by one of the musician’s most famous songs. The tour is a long one. There will be time to stop for lunch, but the cost isn’t included. Over the years, rum and the sugarcane that’s used to distill it have played huge parts in the island’s history and economy. 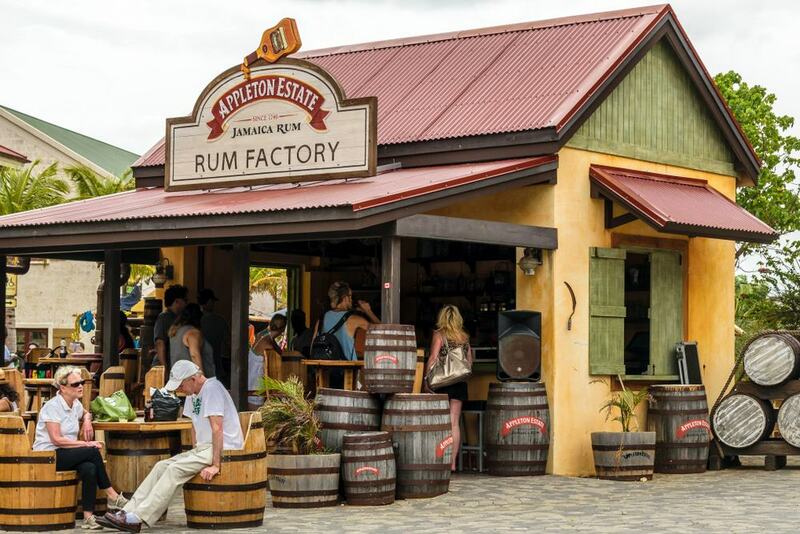 Appleton Estates is the island’s oldest surviving distillery and has been producing the amber liquor for more than two centuries. In addition to touring the plantation’s scenic grounds, guests will get a fascinating narrated insight into the process by which sugarcane and a few other ingredients are turned into rum. Samples of 10 different grades and flavor profiles of island rum will be provided, and each tour guest gets a complimentary bottle to take home with them. 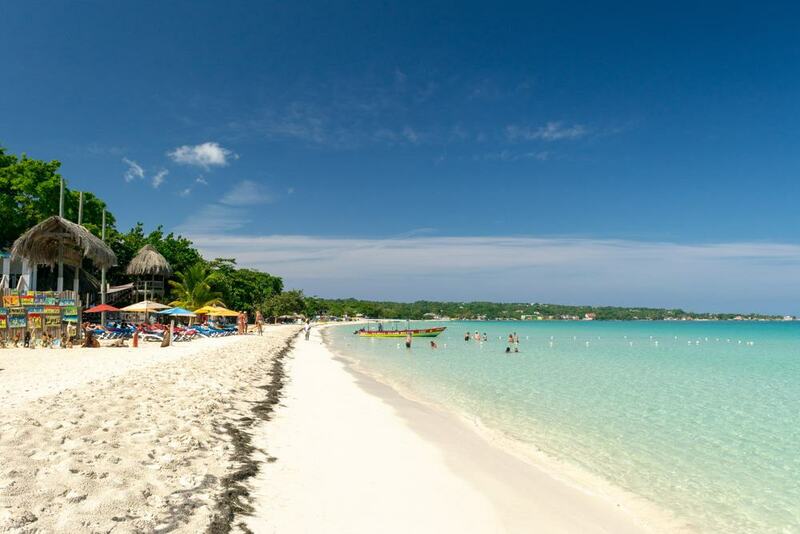 Starting in Montego Bay, this seven-hour tour includes Negril’s amazing 7 Mile Beach on the island’s picturesque northern coast. Tour activities include swimming, snorkeling or just relaxing if that’s more your speed. Guests will have time for a bite to eat at Rick’s Café, though the cost isn’t included, so bring a few bucks for food and drink. If you’re staying in Montego Bay or Grand Palladium, hotel pickup and drop-off are included. The tour is family-friendly and guided by a knowledgeable local, who’ll give you and your travel companions an insightful narrative into the history of the areas you’re visiting. 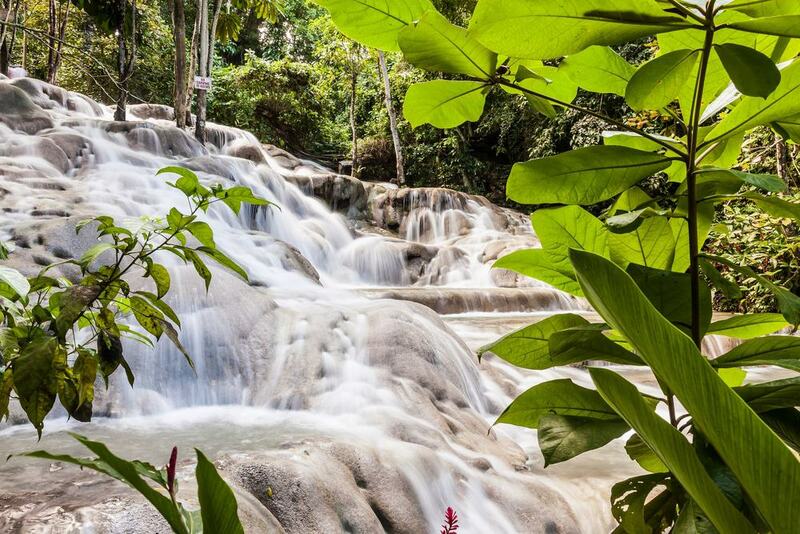 Dunn’s River Falls Park is one of Jamaica’s most popular attractions. It’s comprised of a number of terraces that rise nearly 600 feet into the jungle canopy and can be reached by a moderately strenuous hike. If you’d rather sit the hike out, that’s okay; you’re more than welcome to relax on the beach and wait for the group’s return. There are also swimming and natural massage areas near the falls. When everyone gets back, it’ll be time to head into Ocho Rios for a little shopping. Food and purchases made while shopping aren’t included in the tour’s cost. White sandy beaches, skies full of sun, and countless miles of shimmering seas are great, but after a few days, you may be feeling like it’s time for a temporary change of scenery. 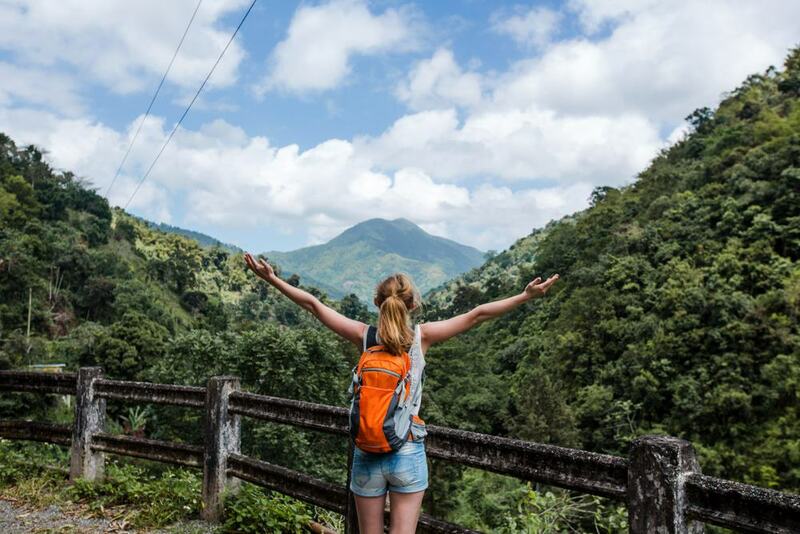 Leaving those things behind, this trek into Jamaica’s Blue Mountains will make it seem like you’re worlds away. The mountain’s ecosystem is a tropical rainforest; it’s filled with an incredible variety of plants, trees, and animals of all kinds. 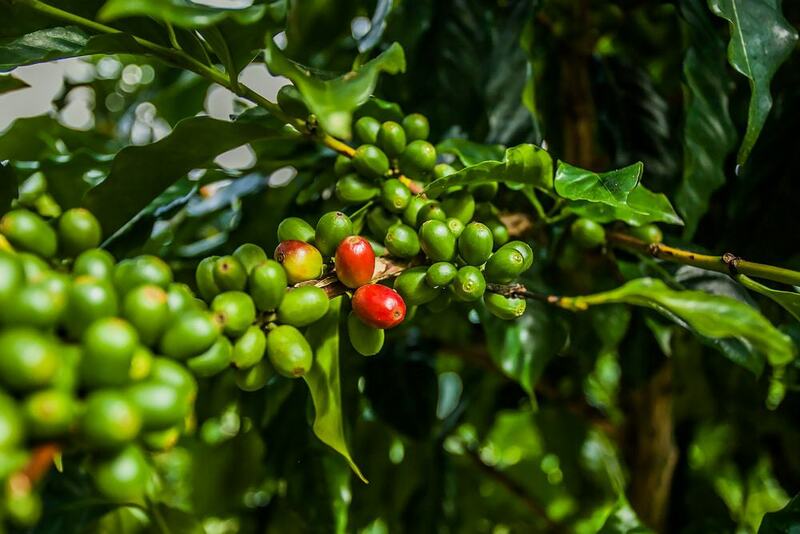 The Blue Mountain Coffee Plantation is the tour’s highlight. Guests will see how the beans are grown, processed, and turned into the dark drink that nearly all of us love.